For the past 15 years or so I’ve suffered from carpal tunnel syndrome, a numbing and weakening of the hand/wrist caused by the collapse of the carpal tunnel surrounding the tendon. I thought the symptoms would ease up when I retired and wasn’t pounding a computer all day but it got worse to the point where I decided to investigate surgery. My family doctor referred me to a plastic surgeon, who during our consultation asked me why I waited so long (didn’t want to be a bother) and informed me that recovery would take six weeks. On the day of the procedure I went to Trillium Health Centre in Mississauga and was prepped by a nurse. The doctor gave me several needles in my hand to “freeze” it and that was really the only part that made me wince. The entire procedure probably took no more than five minutes after which I was bandaged up and told to keep my hand elevated for a while. I was instructed to remove the dressing after two days (I showered with a plastic bag taped over the dressing), wash the incision, apply Polysporin and return to my family doctor to have the stitches removed in two weeks. 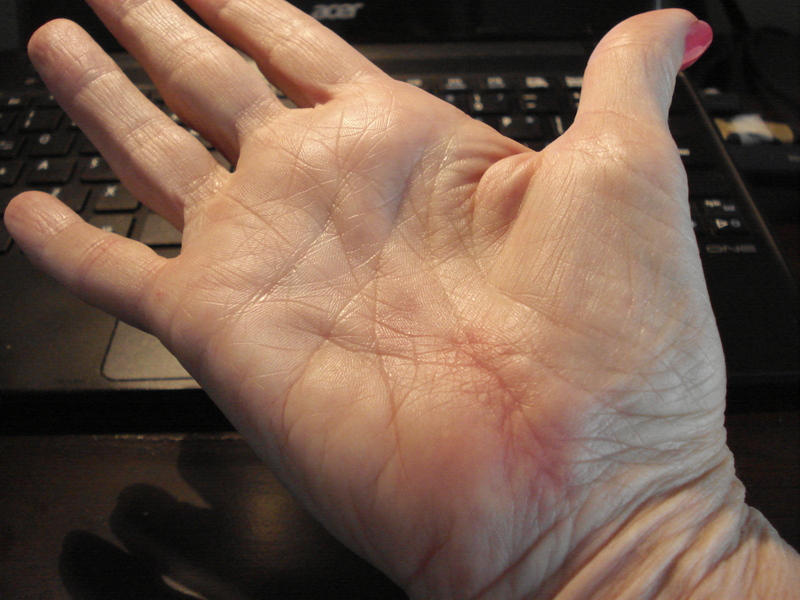 Over the years I’ve heard of many difficulties associated with healing from carpal tunnel surgery. However, I have to say that mine was the most simple and uncomplicated procedure I could ever have imagined. My hand was really only completely disabled for the two days I had the big hospital dressing on. 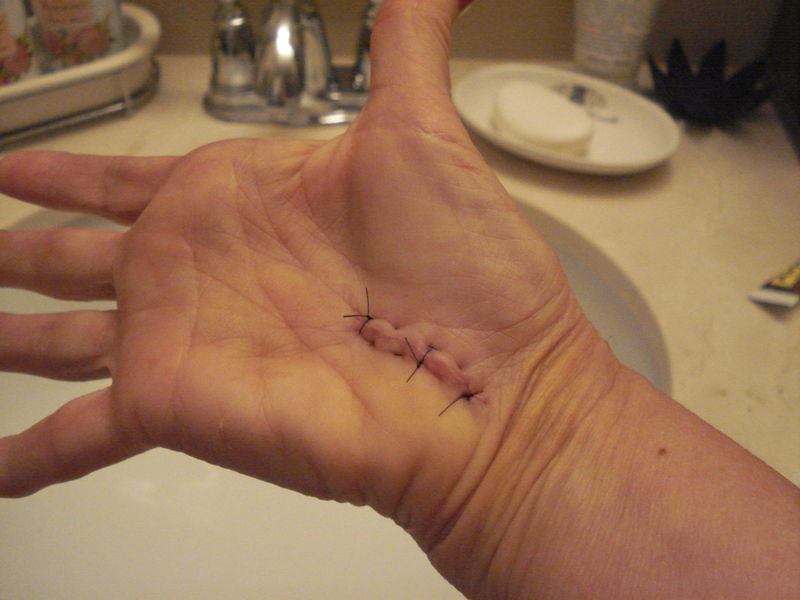 After that, I cleaned the incision every morning and night then applied the antibiotic cream and a couple of Bandaids. After the first two days, I had limited use of my fingers so I could pick things up and being careful, could do pretty well anything including typing on my computer. I expect surgical techniques have improved considerably since my acquaintances underwent the procedure. If you are suffering from Carpal Tunnel Syndrome, don’t wait. Get it checked out. Maybe you’ll be as lucky as I was. It was a breeze. One week after surgery. No complaints so far. Six weeks after surgery. The area around the incision is a bit hard from scar tissue but otherwise everything is good as new.